Javier ‘Chicharito’ Hernandez’s former Manchester United FC team-mate, Rio Ferdinand, has praised the Mexican superstar’s prolific goalscoring form since joining Bayer 04 Leverkusen in the summer. After finding the net in Tuesday’s DFB Cup third-round 3-1 victory at SpVgg Unterhaching, ‘Chicharito’ has now scored 18 goals in 21 competitive games since arriving at the BayArena. Ten of those goals have come in the Bundesliga, including a maiden top-flight hat-trick against Borussia Mönchengladbach on Matchday 16. 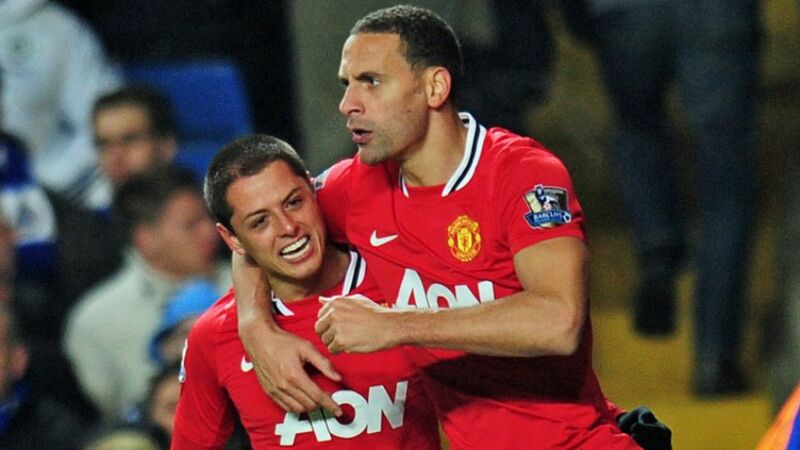 “I told you all @CH14_ would score if given [a] run of games,” tweeted Ferdinand (see below), who played alongside Hernandez at the Premier League’s record champions from 2010 until 2014. Hernandez left Old Trafford in August 2015 after a loan spell at Real Madrid CF last season. He recently told bundesliga.com he has not “necessarily had the opportunities in the last two or three years”.